Anti-Semitic offences rose by almost 10% in Germany last year, according to preliminary data released by police on Wednesday. Some 1,646 anti-Semitic acts were reported in 2018, according to police, marking their highest level in the past decade. Sixty-two of these acts were violent, wounding 43 people. The preliminary figures were released at the request of Die Linke left-wing party, and the final study will be published in May. The new data comes just one day after France released alarming anti-Semitism statistics. Anti-Semitic acts in the country rose by 74% last year, the Interior Ministry said, with 541 incidents reported in 2018. "Anti-Semitism is spreading like poison," Interior Minister Christophe Castaner said while visiting a Paris suburb where a tree in memory of a young Jewish man who was tortured to death in 2006 had been chopped down. What's driving the rise of antisemitism in Germany? In Germany, one of the reasons behind the current jump of antisemitic acts is the rising popularity of the far-right AFD party, said Carsten Nickel, Managing Director of the think tank Teneo. Since the 2015 migration crisis, Germany has seen a resurgence of far-right sentiment tainted with antisemitism which was impossible just 10 year ago due to German history, Carsten told Euronews. The far-right's political strategy has been to blame migrants, which come predominantly from Muslim countries, for the resurgence of anti-Jewish hatred in Germany. "Muslim immigration might be part of the story, but I don't think that's the only story," Carsten said. 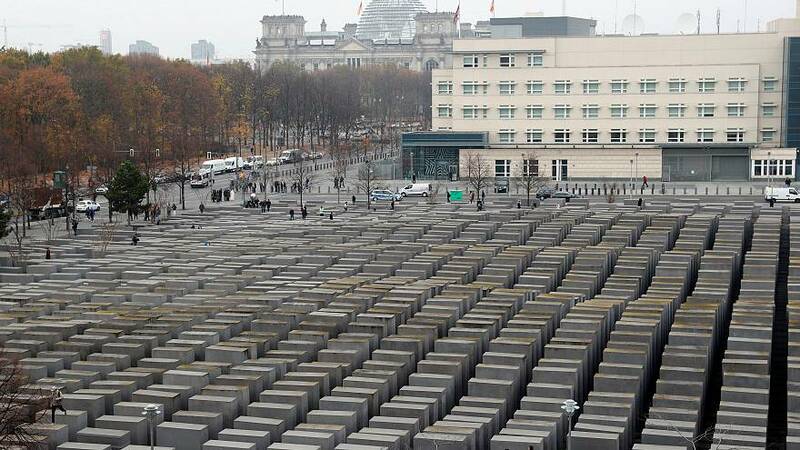 Nazi Germany murdered an estimated six million Jews across Europe from 1933 to 1945. Until recently, there was a national consensus on how to deal with the memory of the Holocaust and the fight against antisemitism. What are German authorities doing to tackle antisemitism? Germany last year appointed a commissioner to oversee efforts to combat antisemitism and will also set up a central repository to collect information about such incidents and attacks, with an eye to bolstering prevention, Merkel said last month at International Holocaust Remembrance Day. The German leader also called for new forms of remembrance due to the dwindling number of eyewitnesses from the Nazi era, and because of persistent hatred and incitement today.